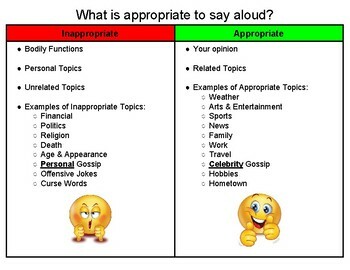 I noticed my students were doing a lot of discussing of inappropriate topics to get attention. For this reason, one of my students and I sat down and created this chart. When they begin to talk about an inappropriate topic, I prompt them by asking if that's appropriate or by pointing to the chart.